I wouldn't be concerned with the dyno numbers if the tuner didn't mention that was the lowest heads/cam Z he had seen. He mentioned that the car did not "rev" like comparable Z's that he's ran on the dyno and that is felt like it labored through the gears but I don't necessarily have anything myself to compare to coming from a stock cam previously. Just worth mentioning in terms of anyone possibly experiencing anything similar after their cam. Another concern was that he had issues tuning out ignition/spark and getting the car to start up consistently has seemingly been impossible on two separate sessions. The car fires right up when cold however any start up after that requires giving it a touch of gas to get it going and it diesels on shut off. Last edited by kojo; 04-08-2019 at 02:06 AM. Sounds like who ever installed your btr 3 cam installed it a tooth off (not dot to dot). Installing a cam a tooth off on one of these cars will exhibit the exact symptoms (low timing, power, starting issues, ect...) that you describe above. It will start run and drive but will act just like you describe. Pull the timing cover and verify cam gear and crank gear dot locations because it sure sounds like your a tooth off. Thanks for the response. I installed the cam and made sure it was dot to dot but I could be wrong. However, wouldn’t that trigger a P0016 cam correlation code? Car doesn’t trigger any code at this time. Faulty cam sensor maybe? Used a non adjustable/stock gear set so just installed it dot to dot. No degreeing required. Do you have a broken spring or weak springs - how old are the springs (maybe spring broke on dyno). Were the springs changed at time of new cam install? Another thing might be is the preload, but I see you did new pushrods so I assume that was done correctly. Is the intake valve titanium - you just say Ferrea valves? One thing on running the steel intake valve is a regular dual spring may not be enough for the higher rpms though I am not sure that is causing you to be down on power. I know on the BTR website they say if you are running heavier stuff use xyz spring which is about 40 pounds heavier on the nose. Your graph looks normal in shape just the numbers are low and it does appear to drop off after 6,000 rpm pretty good. 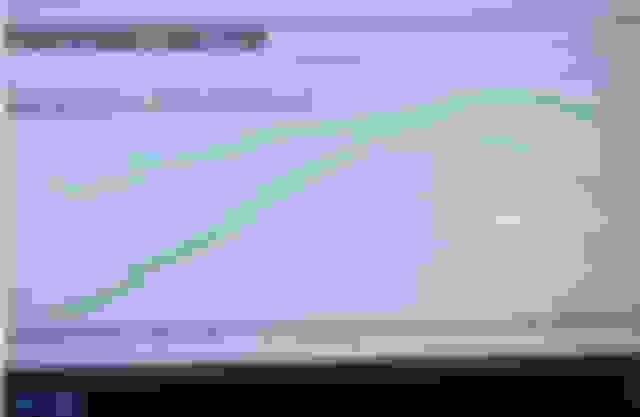 You have very good compression. Sounds familiar installed aftermarket heads and llsr cam on an ls3 made 450/500hp would not take any more than 17 degrees at wide open throttle went to the track and run 10.5/10.4 all day a6 car. The covers were pulled and the heads inspected and there weren't any broken springs, they were also checked and preloaded with the new pushrods as you mentioned and I want to say my buddy inspected them again after a few hundred miles to ensure proper wear. I have not experienced any sings that would suggest any of the springs are broken for sure. They're actually BTR dual valve springs and were done with the stage IV AHP heads in April of 17 which included AHP hardened powder metal valve guides, Ferrea F202P exhaust valves and treated titanium intake valves. My buddy also reached out to AHP with those same concerns and they mentioned setting up the springs for stage 3 or 4 upgrades in the future as the previous owner just did the heads and retained the stock cam. I made about 550whp with fixed/ported heads, long tubes, stock intake manifold, halltech intake, and a BTR Stage 3 cam. AHP wouldn't be my first choice for head work, IMO. 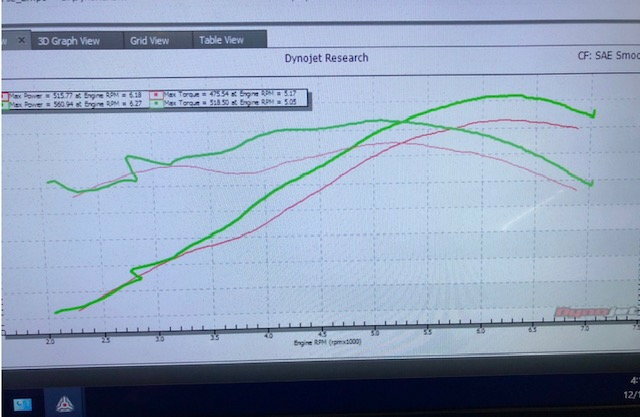 Which type of dyno and do you know what timing advance your tune has at WOT? My tune had about 24-25 degrees up top. I changed to another tuner after that and he backed it down 2 degrees and it made the same power. It was on a Mainline hub dyno. I now use a Dynapac hub dyno. Last edited by jayyyw; 03-20-2019 at 09:12 AM. Try to rig up a degree wheel to see if its a tooth off. Shouldnt be too hard if you are creative. How much preload do you have on your lifters? Too much can limit the top end (or so I've read). Last night, I changed to a shorter push rod on my LS3 heads/cam build. Mine was peaking at 6200 and I thought it should peak higher than that. The tuner set the red line at 6800. The streets were wet this morning so I couldn't run it hard. You could feel it run out of breath at 6200 before. We'll see. 19 deg is fine...especially with higher compression and near sea level pressures.